Home / Jewelry / What Types of Eternity Ring Are There? What Types of Eternity Ring Are There? Eternity rings are a gift of love and appreciation. So what does this beautiful piece of jewellery represent? It seems that its meaning varies from couple to couple. Eternity rings usually consist of metal circles – generally precious metals such as white or yellow gold or platinum. They also usually contain precious or semi-precious stones either halfway or totally around the ring’s circumference. 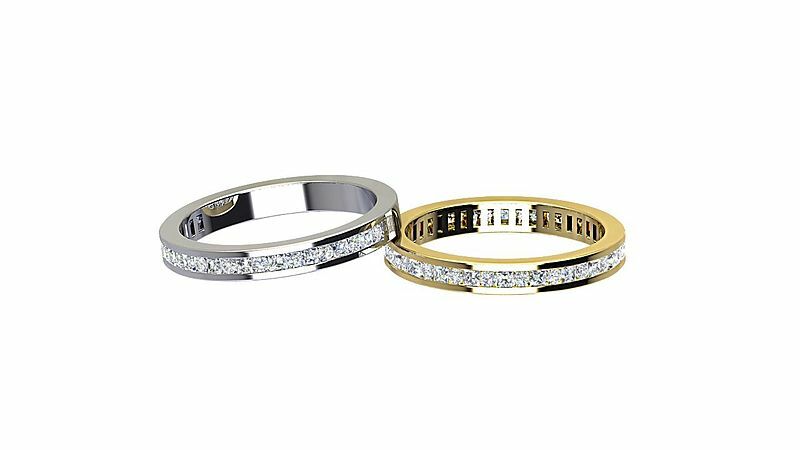 There are two styles of eternity ring. The full eternity ring has diamonds or other stones around the entire circumference of the ring. 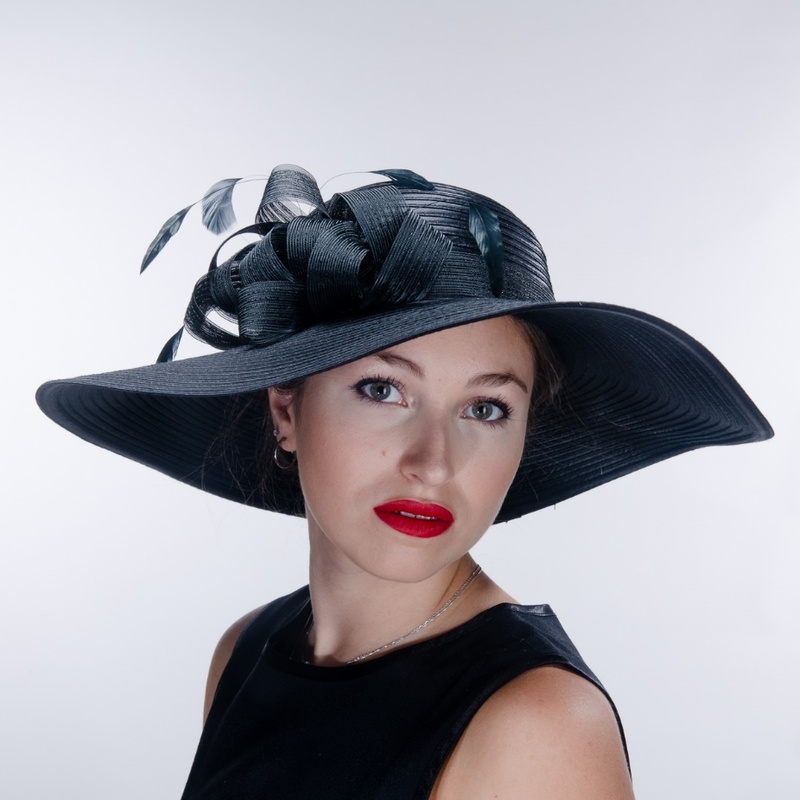 These need to be custom-fitted and are a more expensive option. The half eternity ring has stones only halfway around the circumference of the ring. Some prefer this ring for comfort, as the fingers can close more easily. It is easier to resize this ring, and larger gems can be used. Wedding eternity rings symbolise the endless bonds of love and lasting devotion. The circular metal is unbreakable, like the couple’s marriage vows. It is important to be properly fitted for a wedding eternity ring. Diamonds are incredibly hard, and given their durability make a suitable symbol of eternity. Because of their beauty and long-lasting qualities, they have been chosen for centuries to represent unswerving love, fidelity and commitment. Diamond eternity rings are given as a vow to honour a relationship and promise tenderness and closeness for eternity. When diamonds are used in the continual circle of an eternity ring, the setting magnifies the meaning of the stones – symbolising a never-ending promise that spells devotion forever. Where did the eternity rings originate? Diamond merchant De Beers created the concept of the eternity ring in the 1960s, and eternity rings have become even more popular recently. Eternity rings celebrate a bond that will last as long as the stones set in the circle. Like wedding rings, they symbolise lasting love and eternal devotion. 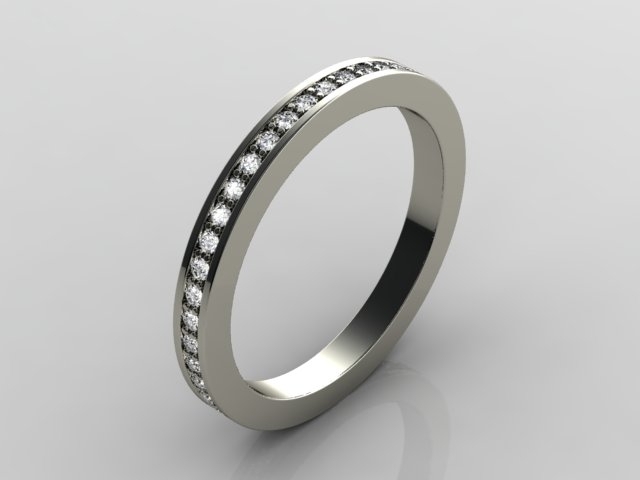 For more information see: https://www.cooksongold.com/blog/trends-and-inspiration/the-eternity-ring. Eternity rings are typically given to mark a special occasion or to show appreciation. Couples have many romantic milestones and important moments: for example, engagement, the birth of a child, overcoming adversity or the purchase of a house. The ring marks a special chapter in the couple’s love story and in time will become a treasured heirloom.